For business continuity and disaster recovery reasons, backing up your email archive should be a key element of any IT security strategy. Many companies mistakenly still think that email archiving replaces a backup or that a backup of the mail server makes email archiving unnecessary. This is the wrong approach to take. Backups and archiving are different concepts with different methods and goals. Our MailStore Server software has featured an automatic backup alert since Version 11, as we see ourselves obliged to raise awareness on IT security among our SME customers. 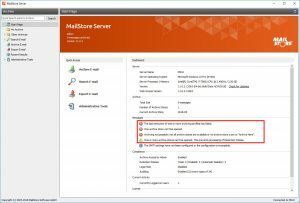 Administrators are shown a notification on the dashboard and in the status reports to indicate that a backup needs to be carried out if MailStore Server detects that the email archive has not been backed up in the last seven days. 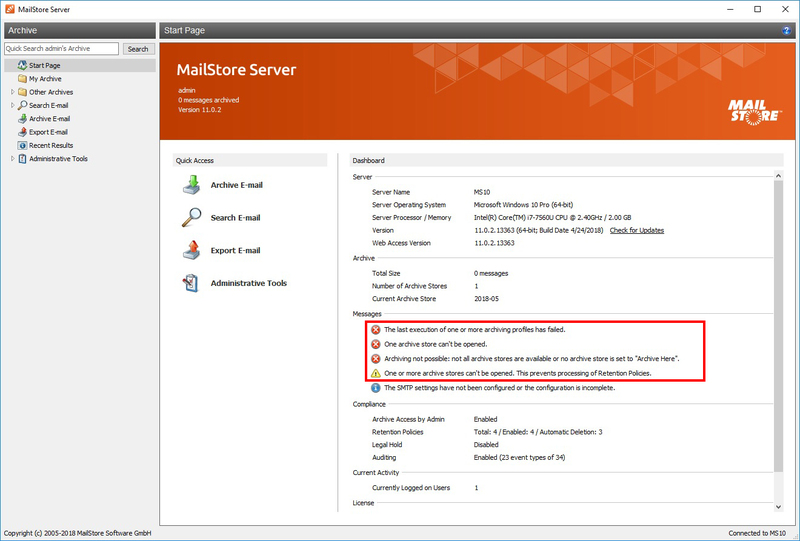 A notification on the MailStore Server start page informs the admin if the email archive has not been backed up. 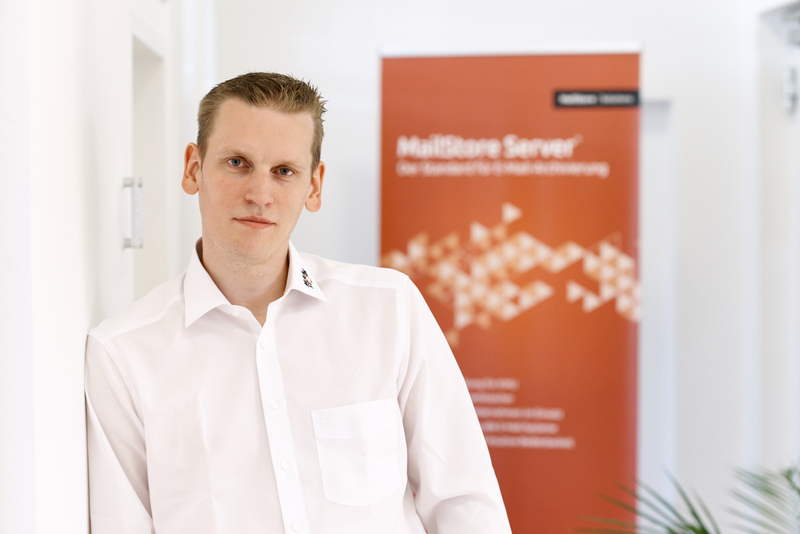 “It’s not uncommon for small and medium-sized customers to contact our support team because they have received an error message in MailStore, for example, that their hard drive is damaged,” says Heiko Borchardt, Sales Engineer at MailStore, who has experienced this first-hand. …or MailStore Server detects an error when started. “If customers don’t have their email archive backed up, then the following worst-case scenario might occur: data loss! 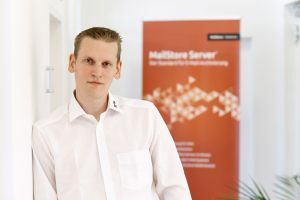 On the one hand, business-critical emails are lost, but on the other hand, companies might infringe on applicable laws if this happens, as they are sometimes legally obliged to retain business-critical emails for certain periods, depending on local legislation which differs globally,” says Borchardt, explaining the necessity of backing up your email archive. To stay on the safe side and to be prepared when a database or certain hardware is damaged, companies can either use an external backup solution, or utilize our MailStore Server backup functionality. Administrators can learn how to do this by clicking on the backup alert. 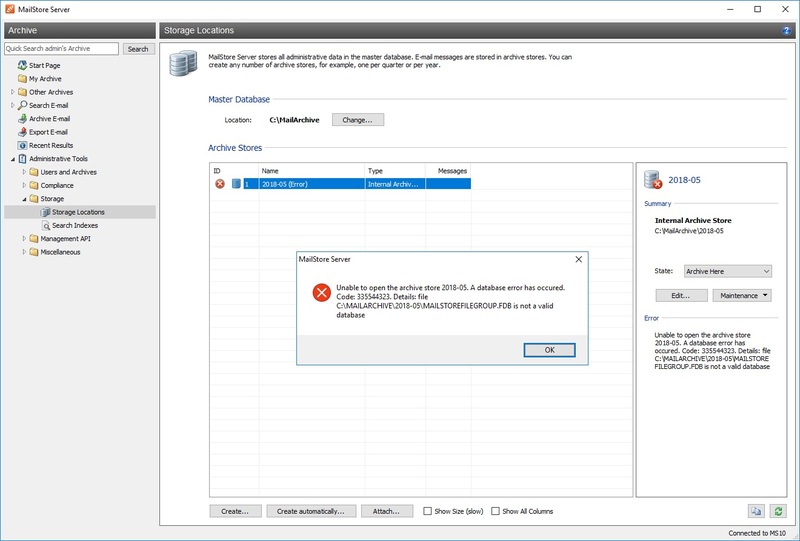 You will immediately receive in-depth instructions on data backups and restore using MailStore Server. You can click on the alert. The link provided will bring you directly to the MailStore Help section. “In terms of data security, you should regularly backup your email archive– ideally, every 24 hours overnight. 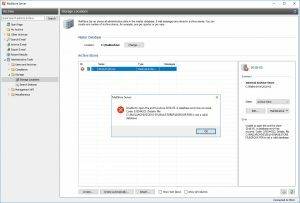 The backup feature integrated in MailStore makes it easy for you to do so, and ends up saving you time, as the process creates an incremental backup,” says Borchardt, appealing to security-minded MailStore administrators.